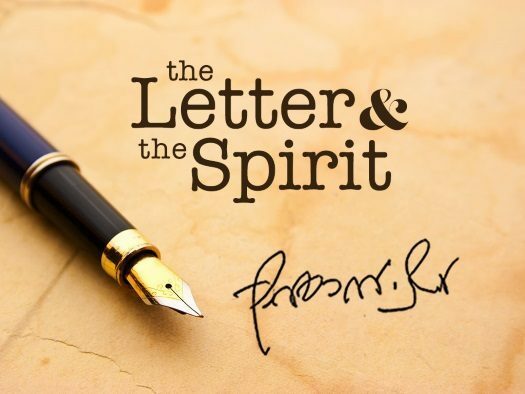 In connection with the topic of a neder [vow] in this week’s parsha, we present a detailed letter of the Rebbe to a businessman – in which the Rebbe advises on the question of a neder that the businessman made and connects it to other relevant matters of the business. 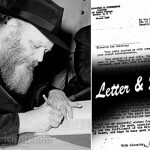 The letter, written originally in English, is from the archives of the Rebbe’s trusted secretary Rabbi Nissan Mindel. Thank you very much for the good news that the matter about which Rabbi… spoke to me, has turned out well. It surprises me somewhat that I had not been informed of this good news earlier. However, good news is always welcome. With regard to the question of the Neder, etc. – although I do not generally Pasken Shaalos, I will make an exception in this case, since I had something to do with it. It would be in order to pay it out in the course of the next 25 years, as mentioned in your letter, in installments and in a way that would have no affect your ability to carry on business. Indeed, your carrying on business successfully with G-d’s help will make it possible to pay out the amount even sooner than the period mentioned. Similarly in regard to the tzedoko contributions which has been your custom to give until now. You should continue in the same way, for when G-d has shown you a nes (miracle), this surely indicates a greater effort in matters of Torah and Mitzvos and tzedoko, rather than curtailing same, G-d forbid. In other words, the above mentioned installments should be arranged that hot only will they not affect your business, but also not curtail your regular tzedoko contributions. In order to implement the fulfillment of the Neder in a symbolic way was soon as possible, it would be well that upon receipt of this letter you should immediately make a tzedoko contribution of $54 and register it in a special account which you will now open in connection with the Neder, where the various amounts will be noted down as you pay them. The annual payments need not be of equal amounts each year. In order to make it easier for you, you may at first make smaller installments and later on, as business improves steadily with G-d’s help you could make larger annual payments. In this connection it is appropriate to recall the words my father-in-law of saintly memory to the effect that when a Jew makes a resolution in regard to doing a mitzvah in general and tzedoko in particular, and at the time of the commitment it appears that the amount of the tzedoko is beyond his present means – the very decision and commitment, made firmly and wholeheartedly, open new channels through which G-d sends His special blessings to enable the person to fulfill the commitment. 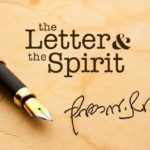 In regard to the final paragraph of your letter and a tikun – first and foremost there must be sincere regret of past failure and a strong resolution not to repeat the mistakes of the past. I would also suggest that you should learn in the Torah (Shulcahn Aruch) the appropriate laws. For it is well known that the study of Torah is a general tikun, especially Dinim and Halochos, which are of practical importance. Now that we are in the auspicious days of Sefira, connecting Pesach, the Festival of Freedom (from physical slavery), with Shovuos, the Festival of our Receiving the Torah (spiritual freedom), may these auspicious days bring you an additional measure of freedom from all distracting negative things, materially and spiritually, so that you should be able to advance from strength to strength in all matters of Yiddishkeit. Moreover, this includes the great principle of our Torah, V’Ohavto L’Reacho Komocho, namely to do your utmost to serve as a living example and inspiration in your environment and community at large. May G-d grant that you should have good news to report.